Solitaire/chill music/magnesium/lavender/various essential oil blends: It isn’t a routine I have perfected yet, but it is one that I attempt nightly. 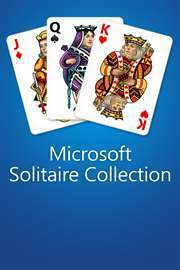 Before bed, I play a game or several variations of Solitaire via Mic Solitaire Collection on my phone, listen to “chill music,” usually via Mixcloud, take a magnesium, apply essential oils. My wife even has one blend, which she labels “Ear Peace,” made specifically to help with my tinnitus. The blend doesn’t take away the tinnitus, but it definitely lessens the volume for me. Likewise, the routine helps me unwind physically, mentally, and emotionally. In the new year, I need to work on spiritually unwinding and also physically “winding up” my day. But at least I have a base from which to work. Google Home Mini/TickTick: As part of a Black Friday deal, we got a Google Home Mini. No, it’s not something we “needed,” but it is fun. So far, we’ve mainly used for it listening to music on Google Play Music, but I look forward to seeing what else we can do with it. The main app I use on my phone is TickTick, which helps me plan my day, especially at work. My day to day and week to week routine at work doesn’t change much, but it’s nice to have reminders for when I occasionally forget things. It’s also good to have reminders for personal things too, e.g. picking up a prescription. Now if only there was a way to integrate it with Google Assistant so I could’ve use with the Google Home Mini. What are some of your life hacks from this past year, either tried or true or new this year? Awesome Bryan – I’ve gotten out of my routines and think I have been very off-balance this year as a result. Why magnesium? Magnesium is something most of us don’t get enough of… And for some reason, it makes me begin to wind down. Not exactly a sleep aid, but close. Also lavender essential oil. Oh, I have been playing Bejeweled almost every night before bed since this summer. I forgot all about it until you mentioned playing solitaire on your phone. I’m glad the oils are helping your tinnitus. One way I spiritually unwind is by journaling (in my paper journal). And I do have a daily reader I read an entry from before bed. It would probably be more helpful to read it in the morning, but at night is working fine for me right now. I look forward to hearing about your spiritual wind down routine once you have one! So what is the Ear Peace blend? My husband’s tinnitus is getting worse, so if you have something that at least lessens the volume I am very interested! Kim says she will get you the recipe. She will add it as a comment.